Nonetheless, it is entirely possible to prepare oneself as much as possible to be ready to cope with the work, sweat, exhaustion, and yes, pain, of natural childbirth. God made women's bodies uniquely capable to not only nurture life for 9 months, but also to bring that life out into the world! If you have had a previous difficult birthing experience or are preparing to welcome your first child, may I just say this to you: You can do this! Your body is capable, and it knows what to do. You have been created to be a nurturer and mother and giver of life, and through God's strength and grace, natural and uncomplicated childbirth is not only possible, but something to earnestly anticipate. Yes, there can be challenges and yes, not every birth does go smoothly and naturally. There is always a small percentage of women who truly have trouble with giving birth or have dangerous situations arise, and in those situations, how grateful I am that we live in a time and place where medical help is available to us. Praise God for that and for the mothers and babies that are saved! I am of the opinion, though, that this should account for only a very small percentage of births and that most women, when well prepared and given adequate support and care, will be able to birth naturally. Let's pursue that goal, shall we? I thought that I would share with you some of the ways that I have been preparing for my upcoming labor and birth. I am by no means an expert (I'd be interested to see how differently I would write this once I'm on my 7th child, instead of my 3rd!). There are many different techniques and ideas out there. These are simply some of the ones that I have chosen to employ, and that have worked for me previously. 1) Exercises to prepare my body for birth. Tailor sitting (basically sitting cross-legged, but with an awareness of opening your pelvis and keeping your knees as spread apart and low to the ground as possible). This is a great way to sit while folding laundry, watching a movie, reading to your kids, etc. 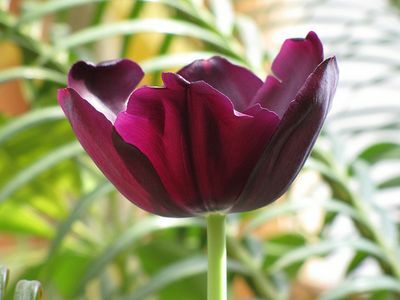 2) Herbs that tone and prepare the uterus and cervix. For the past 3-4 months, I have been drinking a nutrient tea, which included Red Raspberry Leaf, Red Clover, Peppermint, Oatstraw and Nettle. Now that I am in my final weeks, I have switched over to only Red Raspberry Leaf tea. Red Raspberry Leaf is specifically known as a uterine toner, which means that it helps to prepare the uterus to work strong and effectively in labor. Though I have never taken specific birth preparation herbs before, this pregnancy I am using Dr Christopher's Prenatal Formula. You begin to take it 6 weeks before your due date (though my clinic suggested that I wait until 5 weeks before). Each week you up the dosage, starting with 1 pill daily, then 2 pills daily the second week, and so on. I have noticed since I began taking it that my Braxton-Hicks contractions have picked up considerably, which also helps to prep both baby and the uterus for labor. I have also heard good things about Gentle Birth Formula, and it was also approved by the naturopath at my clinic. This is a method that focuses on full body relaxation, being mindful of the work that the uterus and cervix are doing and using that relaxation to avoid "getting in the way" by tensing up and/or fighting the pain of contractions, and also particularly on husband-coached childbirth. Lately I've just been reviewing the book Natural Childbirth the Bradley Way, refreshing myself on the concepts and techniques, as will my husband so that he is prepared to coach me once more. We have used this method both times previously, and though we didn't use every aspect of the teaching, we found it very useful overall. For us, the best parts of this method are the relaxation teaching, and the involvement of the husband. I was amazed at how it really came together for us, even during our first birth. My husband was able to really pinpoint for me how I could better relax, and because of the practicing that we had done, I felt able to respond to his gentle guidance and encouragment. This enabled me to get through a particularly long, draining and painful posterior birth (though we did ultimately need medical intervention), and continue on to have my daughter vaginally. I've spent a lot of time lately praying over our upcoming birth, releasing my fears and anxieties, asking the Lord to be present and to guide us through it, to provide protection and safety, and to supply me with His strength and grace in abundance. I might try making scripture cards to use for this birth, as I've head of several people who have done that and found it helpful. I'm thinking of picking 10 scriptures that I would find particularly comforting or encouraging, and keeping them nearby to help me meditate on a certain verse during contractions. I will also choose some worship or instrumental music that I would like to have ready, as that has been really helpful for me both times previously. I have found it very calming and soothing, and helpful for keeping a more worshipful countenance. It also helped to pass the time, and somehow just going through contractions one song at a time kept me calm and focused. As any athlete prepares themselves before a big race or competition, it only makes sense to pay attention to what we put into our bodies as we gear up for such a great physical task. I've been increasing my protein lately in particular, as well as upping my iron and calcium intake. I'm working hard to stay well hydrated (which also decreases the risk of early or false labor). Eating plenty of fresh, healthy foods (especially with the abundance of produce in the summertime!) will also help to keep my body full of all the nutrients that it needs. I just made a batch of Labor-Aid this morning, freezing some into popsicles as well as putting some in the fridge (labeling it specifically so it isn't mistaken for lemonade!). This will help to keep me hydrated and also to maintain good electrolyte balance as I labor. I've been reading a lot of birth stories lately. My desire is to prepare myself for the numerous types of labor/birthing scenarios that could come. Long, short, easier, really challenging, progressing smoothly, or needing to be more patient and try out some different techniques, methods or positions. There are so many variations within labor, and even with the same woman, each baby is an entirely different experience! This helps to remind me that I can't predict how it will go, and to be ready to accept the different possibilities it holds. Every birth is completely unique. I'm preparing some basic comfort measures, and getting ideas for what I might like to try during labor. I borrowed a heating bag (with rice inside) for my lower back, as I am prone to a lot of back labor. (I saw Michelle Duggar use one in this clip on labor, and thought it looked really soothing). 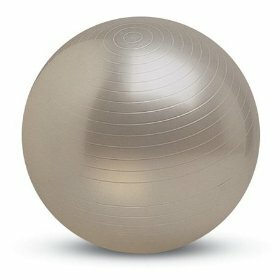 I will bring up the exercise ball from the garage, which I plan to use in a hands and knees position, to bring back relief. I still need to get some tennis balls for providing counter-pressure on my back. I've got a plastic folding chair that I intend to use to sit on in the shower. Just last night I picked up the wonderful birthing pool that we will be using and need to get it blown up later today. I pray that you might find some of these suggestions helpful as you prepare for your own labors! How do you prepare for labor? What has been particularly helpful or effective for you? I’m no expert either, but I can attest to the fact that the yoga breathing or (full breath) that they use during yoga practice, is a great “comfort” measure to use during labor. I labored with both of my children naturally, no meds or doctors,walking around between contractions, sitting in a rocking chair doing the yoga breathing during contractions and sitting in hot soaker tub towards the end. This kind of breathing really helps you get into a meditative state so that your focus is on the task at hand. Wish I had some cool tibit to suggest. Both of my labors were fast: first was 3 hours from start to finish, the next 1.5. The joke was that if I had a 3rd child it would be 45 minutes – get your catcher’s mitt ready! I think these are all great preparations! I did most of them leading up to my labor 11 days ago. I also used The Christian Childbirth Handbook, which I found very helpful!! Of course the funny thing is I didn’t use any of it, I woke up from a deep sleep with a huge contraction, and let my body push out a healthy boy, in my bathroom, in the caul, 50 minutes later. I only had a few long intense contractions, and I remember repeating the Lord’s prayer over and over again during them!!! Anyway good luck with your birth!! What a beautiful system God has created to get these precious babies from the inside to the outside! with my last labor, along with the soothing music and prayer, i rocked in a rocking chair for the first few hours and i enjoyed smelling mint! weird huh? i had this little bottle of organic mint lotion that i would smell and it helped me relax! i did feel a bit like a little ol’ Victorian lady with my smelling salts, but it worked! we had also taken a Christian childbirth class and i LOVED it! the Lord was so good to us! and my beautiful 10 lb 2 oz boy was born by His grace, and no drugs! i was sooooo very thankful! Blessings to you on your upcoming birth! Thank you so much for this! I’m starting to really gear up for my upcoming VBAC in 13 weeks, and I need all the encouragement and tips I can get! I had a really rough labor with my first, with every intervention in the book, so although I can’t have a homebirth, I plan on doing it as naturally as I possibly can in an in-hospital birthing center. Thank you for that -I’d been anticipating this post! Your preparations are helpful; staying hydrated, preparing the uterous, exercises. Thankfully I find myself squatting often these days as I weed, weed and weed. I have found in three labours that I need it quiet with little distraction so I can focus on breathing through the contractons. All the music I prepared beforehand was for nought as I wanted silence. I know I should try water (pool, bath or shower) but it has never appealed before. Everyone speaks so highly of it. I also really found the Bradley Method & that book absolutely essential to my natural water birth. I read it two months “early” (i.e. seven months along) and when I started having braxton hicks, could ‘practice’ the method with them, and wow. I was amazed at how well the practicing and relaxation technique really worked and how well my body was in tune with what I needed to do! Recommend that to anyone. My second child was born yesterday at home. My first was your typical hospital birth. I tend to have rather long, tough active labors (around 14 hours of contractions every 1 – 2 min.). The birthing pool made all the difference for me this time. 12 hours of serious labor and NO progress and I was losing it. My husband pulled me down the hall and put me in the birthing pool. I laid back on the side and forced myself to breathe deeply and release tension. Very difficult, but went from 5 – 10 cm and delivery in only 90 min. I kept thinking in the last few hours that I was so tired and I couldn’t do it until they pulled me out of the pool and said the baby was coming NOW (I couldn’t stop pushing…I was at 8 cm with a lip and not supposed to push and bleeding from it all) then I realized that I could and it was almost over! Now I’m home with my new baby and this experience is so different for all of us. My husband, who originally thought I was a little crazy, says “we’ll never do it any other way.” He feels so much more involved and bonded. this all looks like great info! I did many of these same types of things. I found the most helpful for me was going over a book that I have and making notes, sort of like I used to study when I was in school…wierd but it helped me feel prepared. The book I love is called “the birth book” by William Sears. For me, writing out things again and again somehow commits them to memory so this worked for me. I ended up using breathing to help me through the contractions, along with counting in my head to each breath…normal breaths though, not patterned breathing. It really helped me. My first birth I hummed. I’m serious- it just happened. I just sort of have gone with whatever works for me at the time to make me most comfortable. I used that yoga for pregnancy exercises to prepare also. We also had a special verse to meditate on during the difficult parts. Thank you for this post! My first baby was a home birth and will be doing the same with this one who is due in November and I am looking forward to it as I had such a good one the first time around 🙂 I love reading about what others are doing so that I can have them in mind for my next birth. For my first pregnancy I took castor oil mixed with orange juice a day or so before my due date. Have to admit it was pretty gross but she arrived on time! For my second pregnancy I tried acupressure which I used for relaxation prior to going into labor and then I found it useful for helping with contraction pains. It was also great for my husband to be so involved as he was applying acupressure and it bought us even closer. .-= Juliette [email protected]´s last blog ..How To Use Tricks To Induce Labor =-. Great post, I really found your comment helpful when you mentioned the 7 steps. I think too many women underestimate the mental preparation. C Christian om. I have found all your posts to be relevant to my life and family, we eat Organic as much as possible, use natural cleaners, cloth diaper and I stay home with my soon to be 3 children (all under 5). They are all planned home births and I love that your blog inspires me to be as natural as I can be, and for God’s glory, not a new age philosophy. Thank you! Thought you may interested in a new book on the market, available on Amazon. Pregnancy in His presence by philippa-Jo c dobson. It’s a great book about natural labour how God intended.